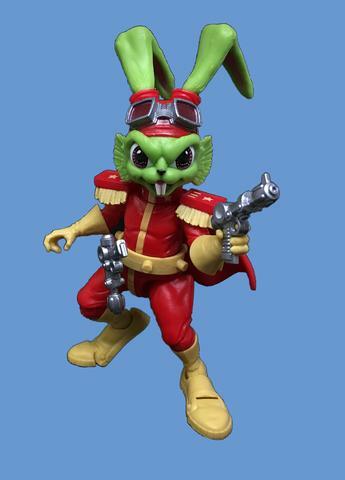 Update, 6/2/18: All six Bucky O'Hare action figures from Boss Fight Studio are available here! 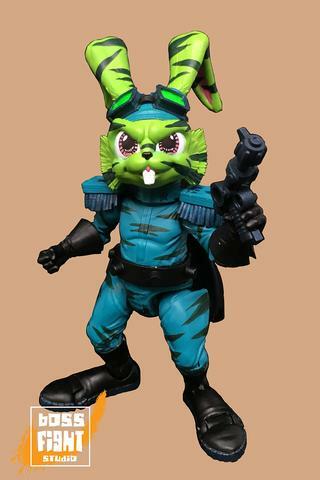 Update, 11/7/16: Boss Fight Studio has announced an upcoming line of Bucky O'Hare toys! Link to the announcement here. 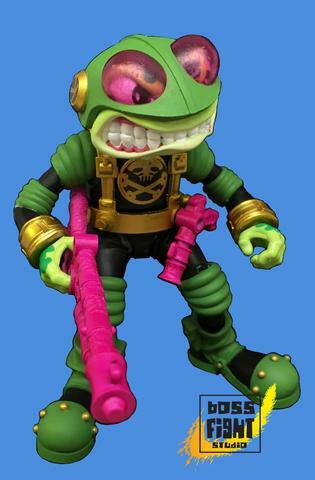 "Bucky O'Hare and the Toad Wars" began in the mid-'80s as a comic book about a green anthropomorphic hare who, with his crew of other mammals (including one human), fought toads in an intergalactic space war. In 1991, it became a cartoon show, followed by a video game for the NES, an arcade game, lots of action figures, and various other merchandise. 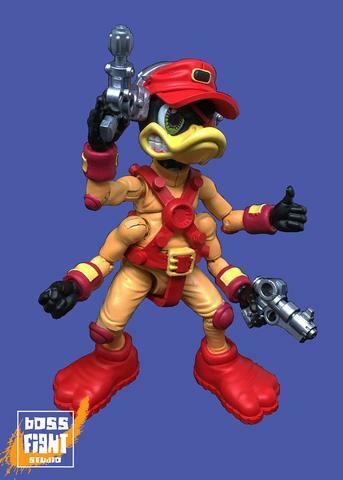 Bucky and his crew were silent for most of the '90s, but the Web Series continued his adventures, spanning four seasons and fourteen years. This site is managed by Rygar. Logo by Ed Scott. Art by Powree. "Bucky O'Hare and the Toad Wars" is (c) Neal Adams and Continuity Studios. All characters debuting in the Web Series are (c) their respecive creators.